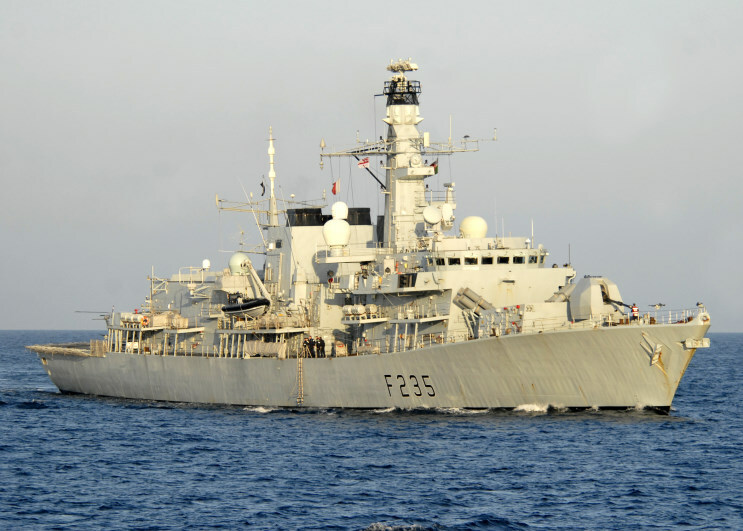 HMS Monmouth F-235, date and location unknown. 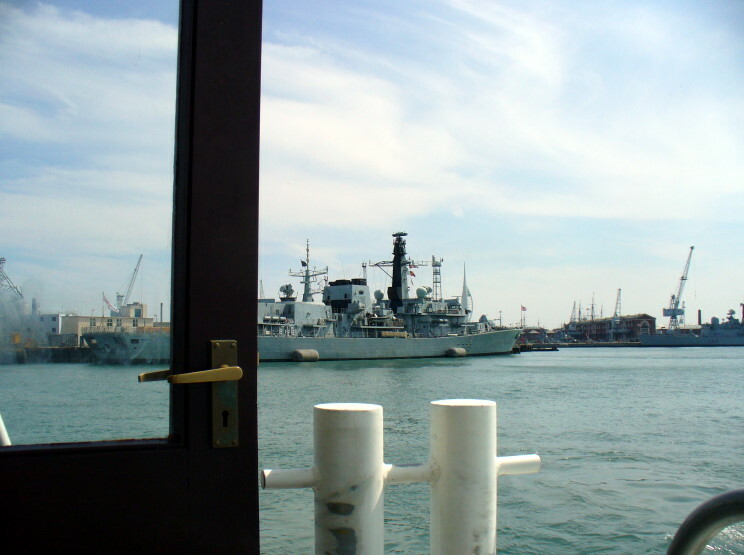 July 2, 2006: HMS Monmouth F-235 at Portsmouth, England. 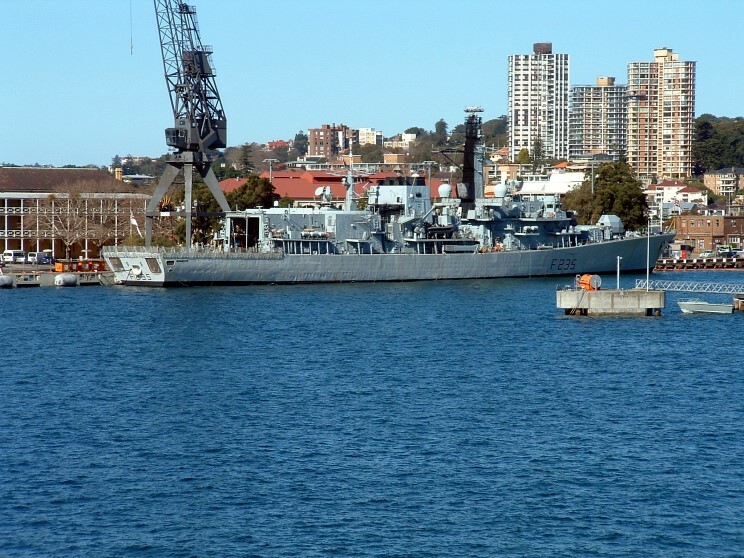 August 2007: HMS Monmouth F-235 at Garden Island, Sydney, Australia. 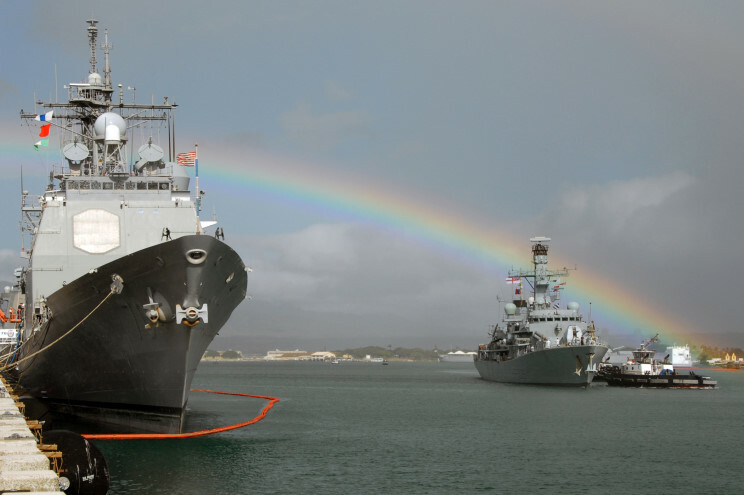 is seen in the foreground. 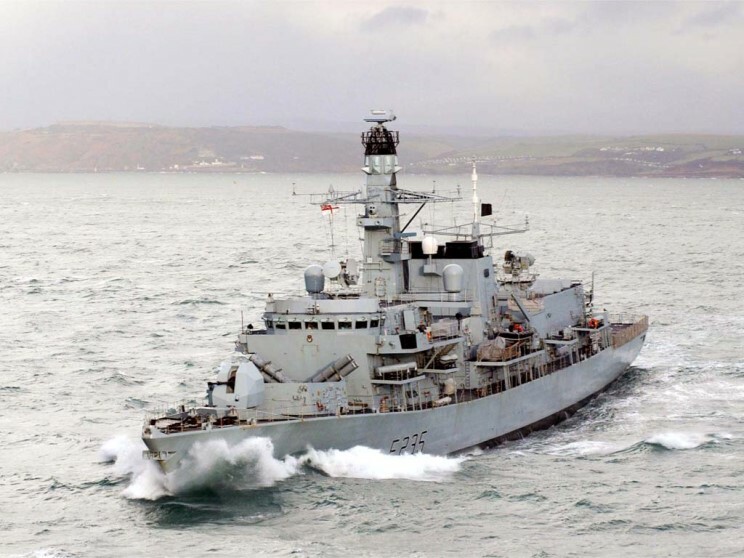 October 11, 2010: HMS Monmouth F-325 seen in the north Atlantic during exercise Joint Warrior 10-2. 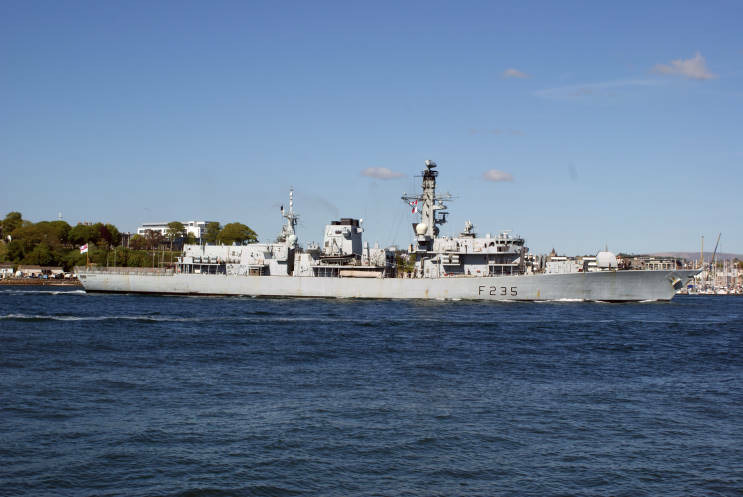 May 16, 2018: HMS Monmouth F-235 seen departing HM Naval Base Devonport, Plymouth, England. 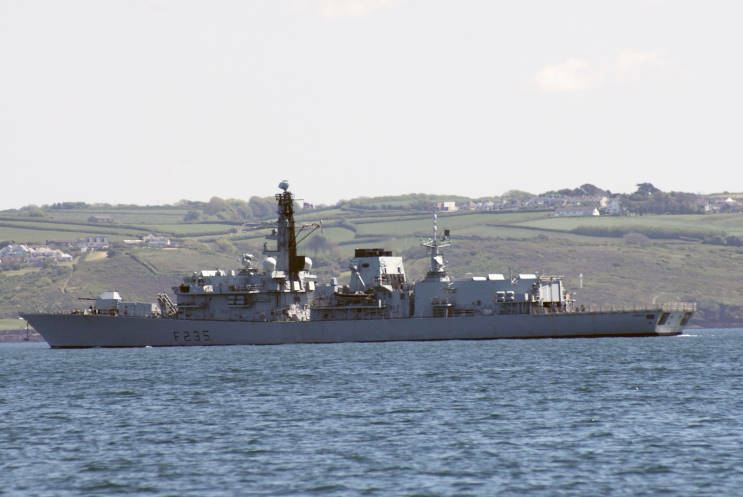 May 16, 2018: HMS Monmouth F-235 seen in Plymouth Sound.